It wasn’t so much about getting older, it was simply because I wasn’t happy being me or where I was in life. Not much has fundamentally changed in my life but how I see myself and feel about being me has changed massively and this weekend was one of the happiest times I’ve ever had. 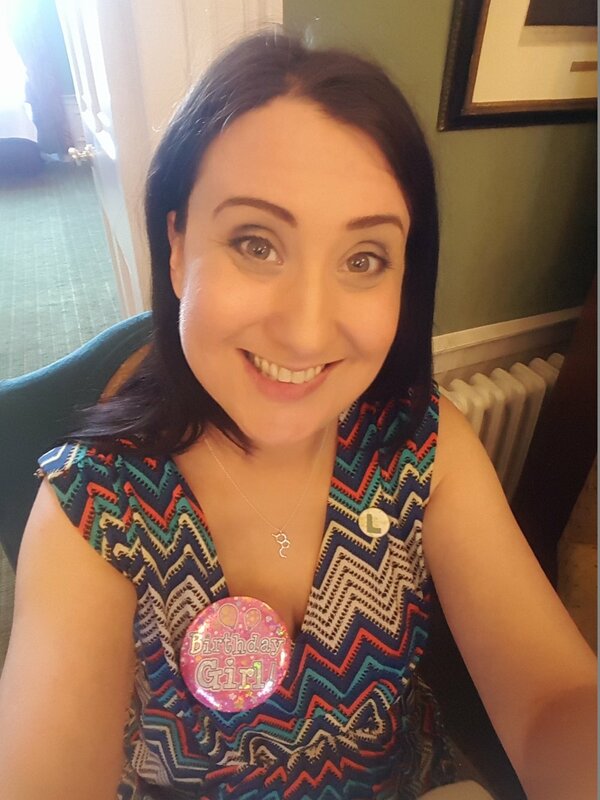 On Sunday I enjoyed an afternoon tea with friends and family at the Howard Hotel in Edinburgh* and I decided to do something which would require a little bit of bravery. I decided to give a speech…eek! Friends and family are always the hardest to present in front of and I’ve never been a fan of public speaking but as I looked through the list of who was coming along I realised there were certain things I really wanted to say to them. “Thank you!” In so many ways this group of people have been there for me, helped me, supported me, inspired me and encouraged me. “You are wonderful!” It suddenly became incredibly important to me that they all know just how talented, caring, creative and downright bloody brilliant they all are. I knew that they didn’t all know each other (although I’m delighted to see many of them connecting/liking/following each other online since then!) so took the opportunity to share just some of their achievements and skills. From talented creative types and successful entrepreneurs to amazing educators and those who work in our beloved NHS. These are women who have given up their time to support others (and no I don’t just mean picking me up when I’ve been down….although they have all done that! )…between them, they have baked, walked, run and much more for charity, mentored others and donated their time and now tampons** to give back to their communities and the various industries they work in. How lucky am I to be surrounded by all this positivity! And last but not least I wanted them to know “You are a positive in my life”. We all tell our friends and family that we love them and they are great but I’m not sure they always hear it. Trapped in a room with the promise of prosecco and cake on its way, I knew they HAD to listen… and with hugs and a few teary looking eyes afterwards I knew they had heard. Now, don’t judge me on this next bit but at the moment I have “The best Scottish album in the world ever” in my car and I have been listening to Caledonia (love that song!). It has the following lyrics in it and for me they match what I’ve been doing. Lost the friends that I needed losing, found others on the way"
I have kept on moving forward and in doing so proved to myself the things I needed to prove (gosh it's hard to talk about this and not start rhyming and singing!). 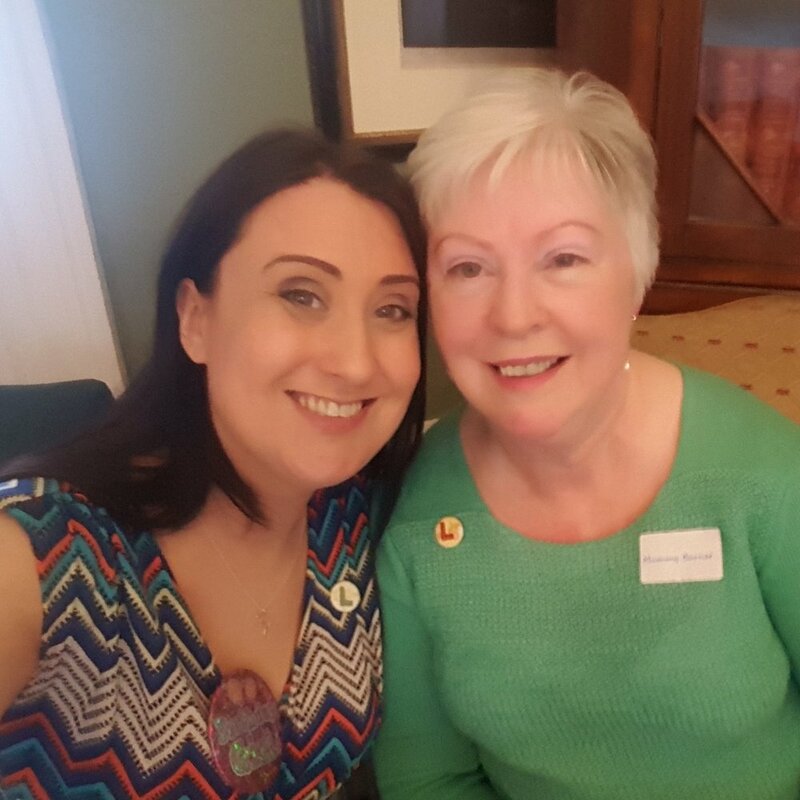 I've also followed Mummy Barnet’s advice, making sure I am surrounded by positive people…..and getting rid of a few negatives on the way too. * Absolutely recommend the Howard Hotel for a private afternoon tea. We had a beautiful room which held 35 of us, the service was wonderful, the food scrummy, the prosecco delicious and a really great price. Most of my friends had never been there before and everyone commented on how lovely it was…and trust me, my friends, whilst lovely, can be pretty picky so this says a lot! There were 7 of us with various dietary requirements and we all received a plateful of gorgeous savoury and sweet treats tailored to our own needs. Nothing was a bother at all.